When The Stray Birds take the stage, the spotlight falls on three voices raised in harmony above the raw resonance of wood and strings. It is a sound drawn from the richness of American folk music traditions, spun with a stirring subtlety and grace. From bustling street corners to silent halls, their performances speak to an uncompromising reverence for songs. Raised within a few miles of farmland from each other in Lancaster County, Pennsylvania, their flight began with friendship. With miles of music already behind them, Maya de Vitry and Oliver Craven first shared a song in January 2010. A snowy Pennsylvania winter welcomed collaboration between the two creative flames— and inspired the collection of seven songs found on their first EP, Borderland. The meeting of kindred musical spirits is a fortunate encounter. But beyond the luck of blend and the intuition of breath comes the question of a fierce dedication to a collective craft. Two years passed, and three tables had been cleared. Charles Muench, who contributed upright bass to the Borderland EP, climbed on board as the third voice. The trio recorded a full-length album, packed a party of seven instruments into a station wagon, and set out to sing for an endless road of towns. 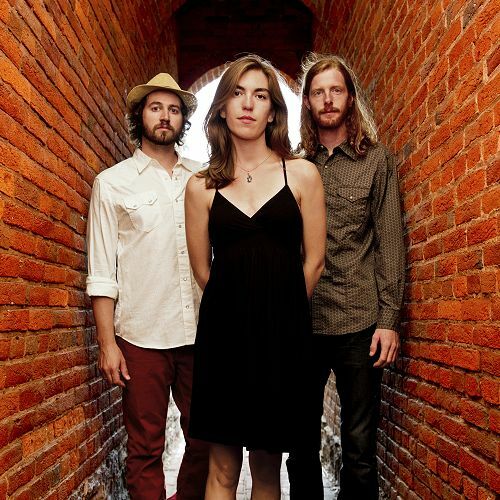 Their full-length debut, The Stray Birds, was lauded by radio stations and listeners across the country and named to the Top 10 Folk/Americana Releases of 2012 by NPR. Passionate live performances led to appearances on NPR’s Mountain Stage, the Philadelphia Folk Festival, the Kerrville Folk Festival, and the Falcon Ridge Folk Festival. The band maintains an ambitious touring schedule and revels in the energy of each room. Hailed by No Depression as “a band destined for global success,” The Stray Birds are slated to perform at the 2014 Celtic Connections festival in Scotland, and will follow that appearance with a month-long tour of the United Kingdom and Ireland. The trio will release their 2nd full-length album in Spring 2014. The polyrhythmic heat of Evie Ladin’s clawhammer banjo, resonant voice, real stories and rhythmic dance have been heard from A Prairie Home Companion to Celtic Connections, Lincoln Center to Hardly Strictly Bluegrass. Known as a driving force behind San Francisco’s Stairwell Sisters, Evie’s solo debut Float Downstream (2010), co-produced by Mike Marshall and Keith Terry, was quickly followed by Evie Ladin Band(2012), which won Americana Album of the Year by the Independent Music Awards Vox Pop Vote. Evie started playing banjo at the age of 8, clogging since 5, and is fluid in these traditional Appalachian arts, even as she brings an urban edge and contemporary vision to her own stories, and deep interpretations of old songs. 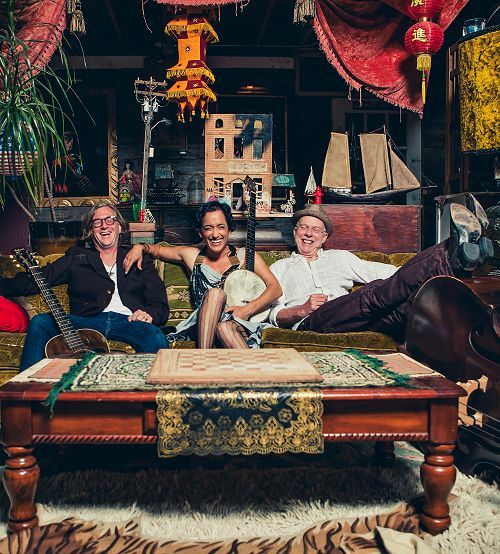 Based in Oakland, CA, Evie tours solo, duo with Keith Terry, or with her expansive stringband – Evil Diane. In every combination, Evie’s live performance is a demonstrative, gorgeous storm. Evie Ladin is a banjo player, step-dancer, singer, songwriter and square-dance caller with a lifetime of experience in traditional American cultural arts. She grew up in a trad folk scene up and down the Eastern Seaboard of the US, travels the world, and calls the rich arts scene in Oakland, California home. She also tours with Keith Terry & Crosspulse, performing rhythm-based multi-cultural music & dance works. She teaches banjo, harmony singing and dance and calls rowdy square dances in the San Francisco Bay Area when you can find her there.